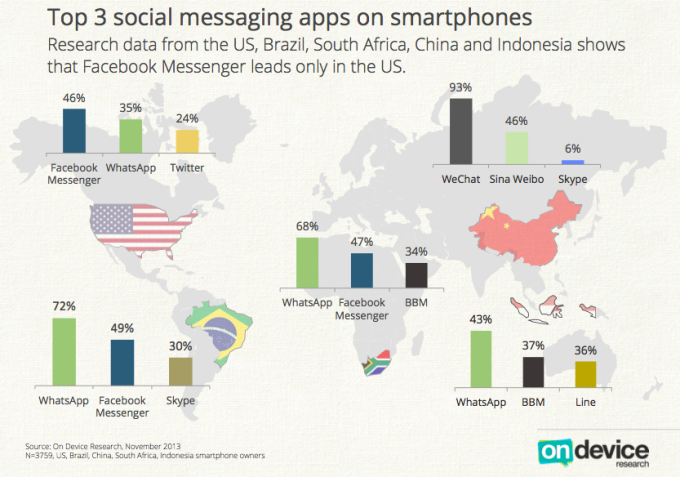 The messaging app ecosystem continues to be geographically fragmented, but WhatsApp has emerged as the overall leader. The findings are based on a survey conducted by On Device of nearly 4,000 Android and iOS users in the U.S., Brazil, South Africa, Indonesia, and China. The survey also found that the 16 to 24-year-old age bracket in the U.S., is Snapchat's largest source of users. It just so happens, that that is the same age group which is fleeing Facebook.